UpTo - Calendar Redefined (Android) ~ Android Forever! 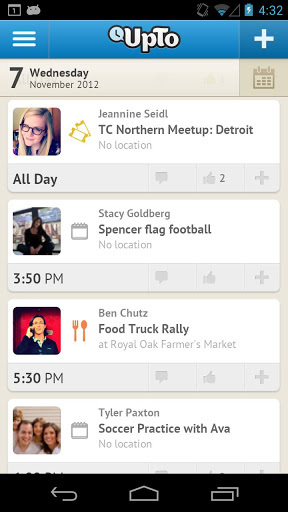 Developer Quote: "UpTo gives you a social stream of the upcoming events that matter to you most. Follow friends and family to see plans they're sharing. Follow public streams to see what's coming up in sports, music, movies and more." 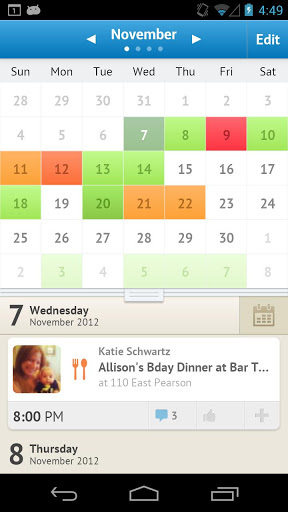 If you're tired of plain-jane calendar apps, just take a look at this one. 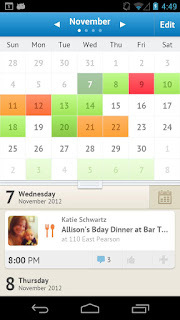 It's been called the best Android calendar app available. ★ UpTo works with any calendar that syncs with your phone's calendar, such as Google Calendar, Outlook and more. 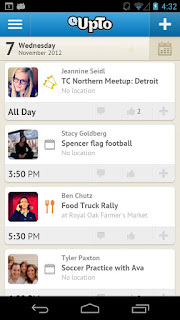 Download UpTo - Calendar Redefined FREE from Google play!